On a [7c][Jh][9d] flop, James Carter was all in holding [Ts][9s] for a pair and a gutshot straight draw, but Ron Dalgo had the superior kicker with his [As][9h]. The [Ks] turn gave James a double gutshot to go with his two pair draw, but the [6c] missed the draw. Ron Dalgo will win Event #4 $300 NLH. He will take home the title, the trophy, and $16,048. Congratulations, Ron! James Carter got his short stack in holding [Jc][Ts] and would need to get lucky against Ron Dalgo's [Ac][8c]. The [9d][8h][Kh] flop gave James the beds odds to win, and the [Qd] left Ron drawing dead as James had made his straight. The meaningless [5d] hit the river, and James will double up to 800,000. 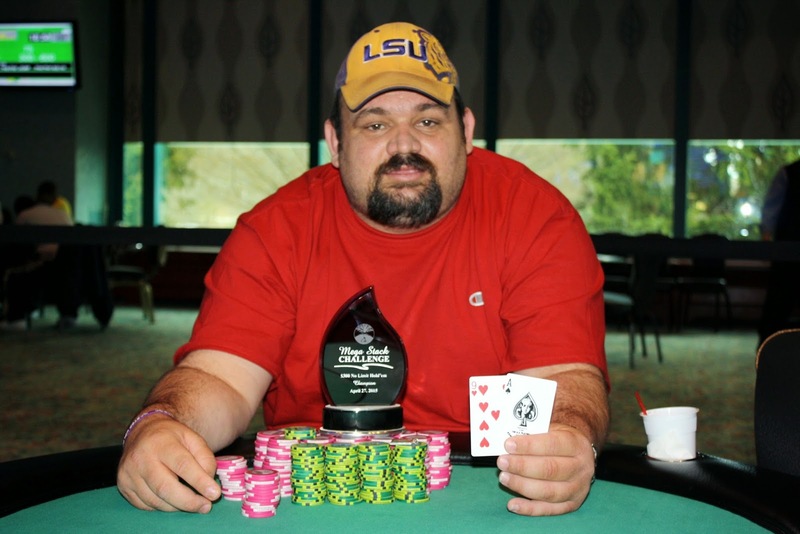 Ron Dalgo was all in preflop with [As][Qd] and was dominating James Carter's ace-nine. Though James begged for a nine as every card fell, he failed to find it as the board ran out [Kc][5s][7s][Tc][3c]. Ron has doubled up and has a huge chip lead over James as head up play continues. On a [Jh][5d][Qd] flop, Victor "Most" Paulino was all in holding [Qc][5c] for two pair but was up against Ron Dalgo's [Kd][6d] for a flush draw. Ron wasted no time in hitting his draw when the turn fell [8d], and Victor prayed for the board to pair on the river. The [Js] did pair the river, but it wasn't the right card to make Victor a full house. He will exit this tournament in 3rd place, good for $10,000. Under the gun, Steve Joseph moved all in and Victor "Most" Paulino called from the button. Both James Carter and Ron Dalgo begrudingly folded their hands. 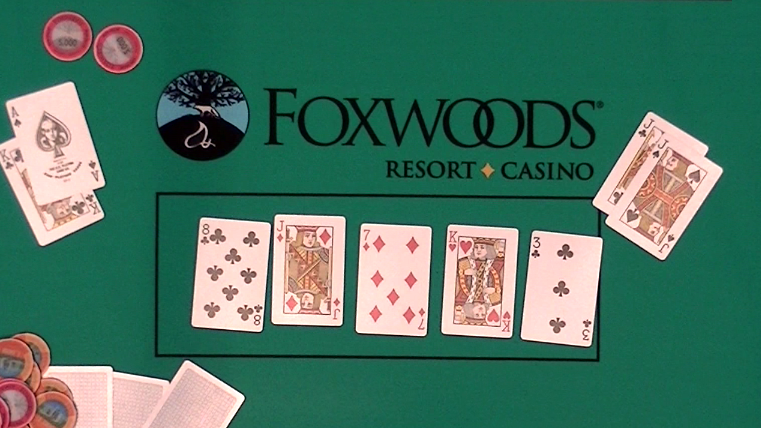 The [5s][8s][9h] flop gave Steve the best odds to win the hand with an open ended straight draw and two overs, but the [6h] turn and [9s] kept ace high in front. Steve will exit the tournament in 4th place, good for $5,820. Ron Dalgo opened the pot under the gun before Victor "Most" Paulino moved all in from the small blind. James Carter made the call from the big blind, and Ron got out of the way. James was looking for a ten to knock out his opponent, but the [4c][8s][9h][9c][9s] board gave both places trip nines, with Victor's ace-queen kicker playing. He will double up to 570,000 with 5 minutes left at 12,000/24,000 blinds. James Carter was all in preflop holding [Js][Jc] and was flipping against [As][Kc]. 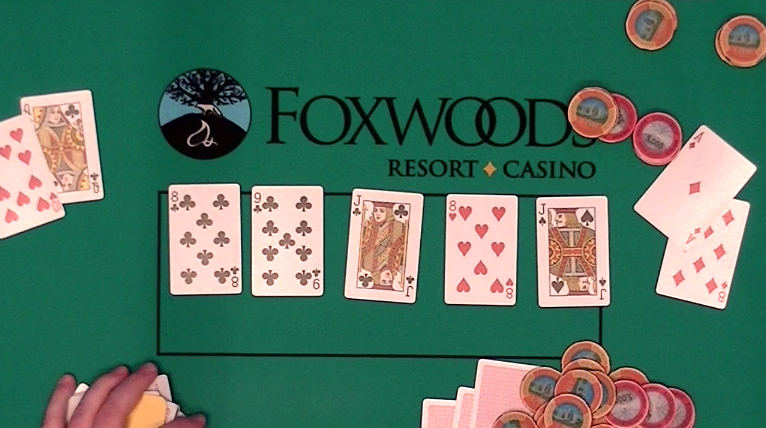 James asked for low cards, and the flop came [8c][Jd][7d]. James proudly declared his opponent "drawing dead," even though he still had runner-runner outs. The [Kh] sealed the win for James, and he earned a full double up as the dealer placed the meaningless [3c] on the river. Wanbo Li was all in with [Qc][Th] and was up against the [Ad][8d] of Ron Dalgo. Wanbo hit a miracle flop when it fell [8c][9c][Jc], giving him a flopped straight with a straight flush redraw. With a 97% chance of doubling up, the dealer placed the [8h] on the turn, giving Ron trip eights and a handful of outs to make a full house and win the pot. Amazingly, the [Js] hit the river to complete that draw, and send Wambo to the rail in 6th place. He will earn $3,492 for his efforts. With the elimination of our 11th place finisher, the final table has been reached. Players are redrawing for seats at the unofficial final table, and play will continue until the end of the level or when one more player has been eliminated.